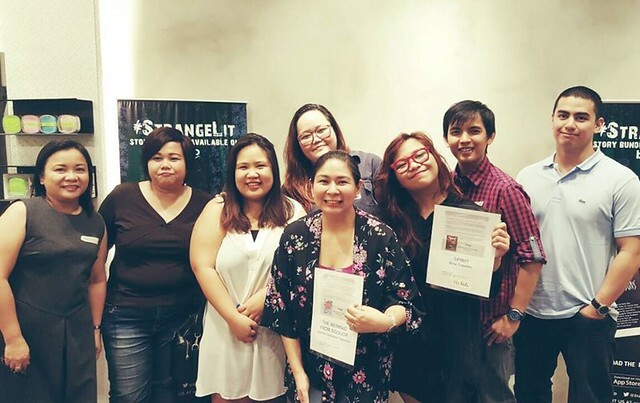 In case you missed it, about fifty Filipino authors just released a whole bunch of new paranormal/urban fantasy fiction stories. Isn't that amazing? Just a little faith, trust and pixie dust, and there were all were, having fun just celebrating the fact that we did something! 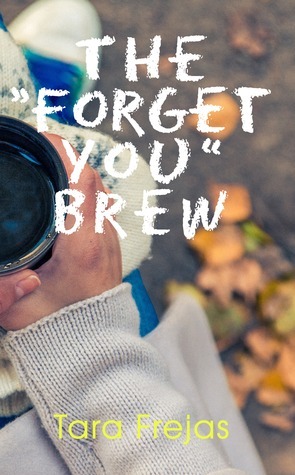 We've written the stories we wanted, and now everyone can read them on the Buqo app! We had a little launch party last Saturday at Recession Coffee in Eastwood. The giveaways alone were insane. There were postcards, planners, mugs, t-shirts, a lamay kit, macarons (from me) and so many goodies being given away! Authors were asked to read a one minute excerpt, and we were all pretty nervous, but we pulled it off! 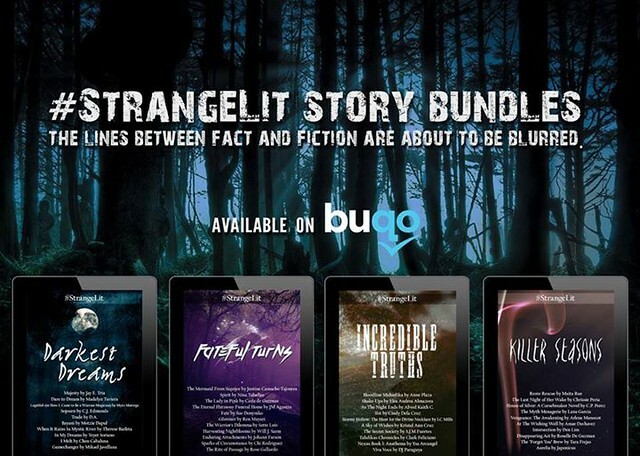 Each of the bundles contain different stories, all with different characters, themes and lengths. 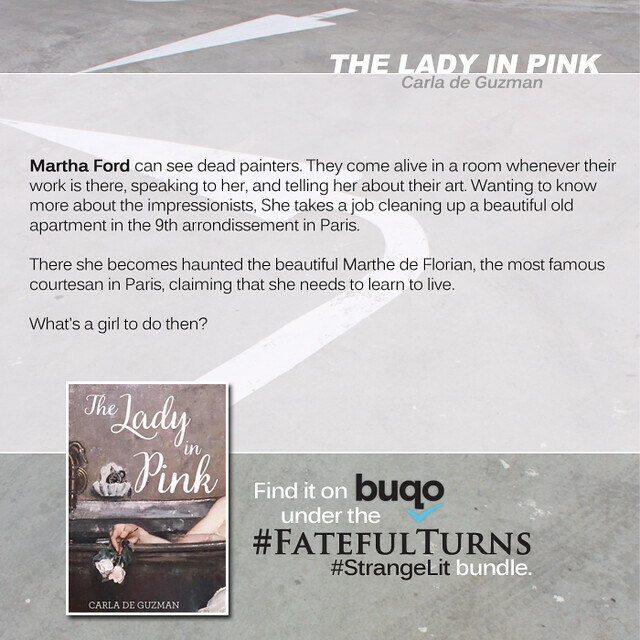 My story is called the Lady in Pink, and it's about Martha Ford, who moves to Paris because she's absolutely in love with the Impressionists. So much so that she can speak to them while she's in the Musee D' Orsay, and those old ghosts love encouraging her to get out there and make Paris her own. That's how she ends up with a job at a mysterious apartment on the Ninth Arrondissement, and that's how all the trouble starts. It was really fun seeing all these people I mostly know online. Haha! Until the next launch!